Holidays are such a magical time of the year! Everyone looks forward to Christmas for the delicious food, family time, and beautiful Christmas decor that this time of year brings. Of course, you may buy all necessary decorations on archiesonline.com, still you have so much more to add on the Christmas decor. With Xmas just around the corner, it is about time to go rich in celebrations with these simple, easy and cheap christmas decorations ideas. Transforming your entryway to a welcoming Christmas front doorway with something as simple and inexpensive as a wreath. Spread the Christmas cheer around with a Christmas tree in your house irrespective of the size you buy. You may also add on some of your decorative pieces and make this a fun activity involving your kids too. It’s a fun festival after all! 3) Invite Santa to the Party! Light up your home with the Cute Santa Claus LED Showpiece and welcome the holiday spirit into your home. The attractive battery powered showpiece will be the center of attention among your family & friends on the joyous occasion! If you have a garden or a small lawn in front of your house, this idea will work out perfectly well for you. 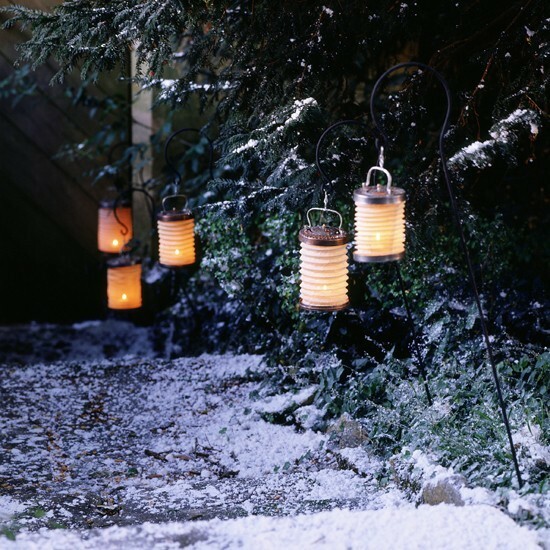 Light up the way to your Christmas party with bright Archies lanterns and illuminate the passage for the guests to feel special with these lanterns! 5) Get involved in the treasure hunt! Wrapped in colorful papers and laced with beautiful ribbons, Christmas presents can make an artful display when put under the Christmas tree. Choose from a huge variety of gifts from Archies and wrap them, hide them and let your friends and kids indulge in some treasure hunting. Don’t just decorate your living room on Christmas! Spread the festive cheer all around the house and decorate the kids’ bedrooms too. You can get started with artfully placing some soft toys and adding finishing touch decorating the room with LED lights. Your home if looking glittery and flashy will surely invite Santa to visit you! We wish you a Merry Christmas and a Happy New Year. Do let us know how your Christmas decoration is coming.